An audit of education procedures shows much more action is needed in this state. Oregon's high school graduation rates were an embarrassingly low 75 percent in 2015-16. Sadly, Oregon is almost 10 percent below the national average and has ranked among the worst five states for five years in a row. This is unacceptable. We are failing our children and grandchildren. Which students are being harmed the most? Graduation rates were most alarming for students with disabilities (55.5 percent), economically disadvantaged (68.1 percent), current English learners (52.9 percent), American Indian/Alaska Native (56.4 percent), African American/Black (66.1 percent), and Hispanic/Latino (69.4 percent). Not graduating leads to higher unemployment, lower incomes, higher incarceration rates and poorer health. Additionally, increased costs to society are estimated to be more than $260,000 per student without a high school diploma. Recognizing the importance of investing in good education and graduation results, last year, voters overwhelmingly approved Measure 98 to significantly expand career and technical education, accelerated credit programs and dropout prevention programs. However, only 56 percent of the voter-requested funding was allocated by state leaders. Because Oregon needs to help all students succeed, we audited high school graduation rates and alternative education programs. We need to do more to engage and support students so they can be successful in school and can graduate on-time. Oregon has an ambitious goal that students entering kindergarten this coming September will have a graduation rate of 100 percent by 2025. However, auditors found that limitations in ODE's practices could hinder Oregon's ability to meet this goal. As one Oregon High School Principal told our auditors, "Schools need to do a better job meeting student needs and ODE needs to do a better job meeting the needs of schools." For example, students who transfer into a new school district during high school graduate at rates roughly 30 percent lower than students who stayed in the same district. There is no established support system focused on this key risk factor. Also, ODE does not provide enough support to schools with graduation rates between 67 percent and 85 percent (known as "mid-range"), although most non-graduates attend these schools. Transitioning from middle school to high school can be hard for students. Just think back to those difficult years in your own life! Students who struggle in middle school are already at risk of not graduating. Analysis of school attendance patterns shows that chronic absenteeism begins to increase in middle school and rises through high school. ODE's focus on the early and late years of K-12 education largely overlooks these key transition years. One bright spot is that ODE has a strong focus on equity and has developed plans to help economically disadvantaged students who make up more than 70 percent of students who do not graduate on time. Still, performance continues to lag among these students, so implementation and continued monitoring is key. Also, there is currently no accountability to ensure that the state-provided extra funding for economically disadvantaged students is actually spent to help them succeed instead of on other programs. There are solutions to these problems. There is no doubt that schools would benefit from more funding and better fiscal management. However, we also need to think outside of the traditional box of more taxes verses less generous employee benefits. We should learn from education research and approaches used in other states. For example, ODE should follow the example set by Vermont, Indiana and Florida by tracking two critical predictors of graduation success: individual student grades and student credit attainment. This information would help identify struggling students who need intervention earlier. Oregon requires individualized personal learning plans for every student in seventh grade, but many schools ignore or delay this important tool. ODE is not providing needed accountability or assistance. A better model is Nebraska, which provides a lesson plan for teachers to help students develop personal learning plans and a booklet with step-by-step guidelines for students, schools and parents. It can be difficult for schools to effectively engage with parents. One innovative Oregon school our auditors visited had students bring a parent or other adult for a student-led conference. The participation increase was dramatic at 90 percent above prior years. Iowa's education department shared ideas for parent surveys, regular and varied use of social media, and class descriptions for parents for each class that underscore how parents can help. Last school year, ODE waived the state's minimum instructional hour requirements because of snow days. Simply enforcing the current requirements would add more class time to help struggling students. Problems in Oregon's education system are not limited to K-12. An audit we released last week revealed a need for improvement in higher education as well. The Higher Education Coordinating Commission is responsible for coordinating the state's public universities, community colleges and workforce system to improve outcomes. Unfortunately, our auditors found that the Commission violated Oregon law in 65 percent of their contracts and agreements between November 2016 and March 2017. The commission needs to correct basic tasks like contracting if they are going to improve success overall. It has been said that the first step to improvement is admitting you have a problem. Oregon leaders need to acknowledge that our educational system needs to use smarter approaches, better accountability and more options for at-risk students. We can learn from other states that have better outcomes. Oregon students deserve a world-class education. We can do better. We must do better. 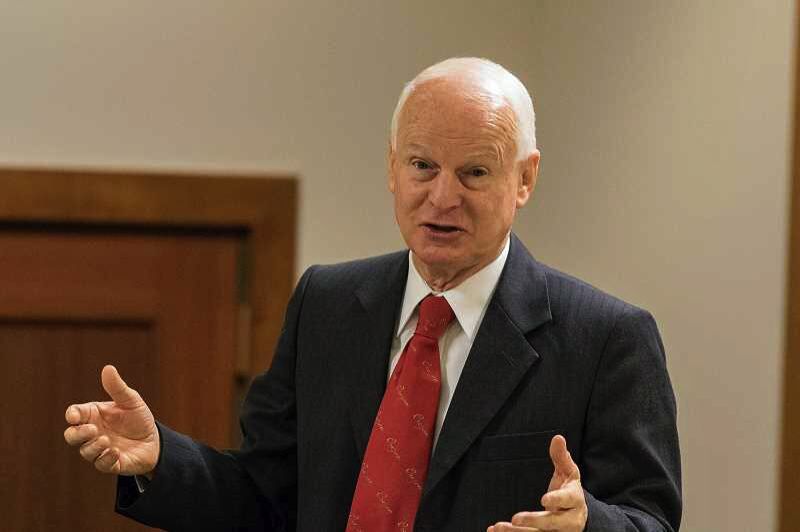 Dennis Richardson is Oregon Secretary of State.